14th April 2019: The National Testing Agency (NTA) has released the answer key for the April session of the Joint Entrance Examination (JEE) Main 2019. Candidates who have appeared for the exam can check the same at the official website. The exam was conducted on 7th, 8th, 9th, 10th, and 12th April 2019 through the Computer Based Test mode. Go to the official JEE Main website. Click on the link for display of question papers and responses. Enter your application number and date of birth for log-in. Click on the ‘Challenge(s) regarding Answer Key’ link. Select the question you want to challenge and save your claims. Make the fee payment and complete the process. Check out detailed procedure to challenge the JEE Main Answer Key. The facility to challenge the answer key is available till 16th April 2019. NTA has also released the question paper and candidates’ responses at the official website on 14th April 2019. The facility to access the responses will remain available till 16th April. So, candidates must download their question papers and responses for future reference. 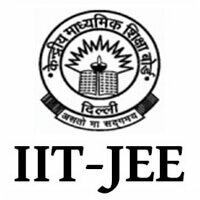 Go to the JEE Main official website. Click on ‘Display Question Papers and Responses’ option. Select any one of the lg-in option. Enter the required details to log-in. The question paper and responses will appear on the screen. Download and take a print. 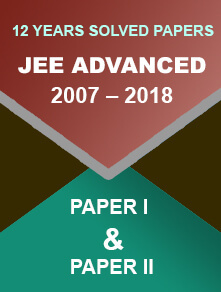 The JEE Main exam 2019 was conducted in two sessions this year - in January and April. Here are the details about the January session answer key. 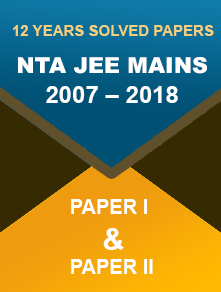 NTA has released the JEE Main 2019 January session answer keys on 14th January 2019. Candidates were given an opportunity to submit challenges against the answer key till 18th January 2019. Question paper and candidates’ responses were also released along with the answer key. Here are the steps to download the JEE Main January Answer Key 2019. Go to the official website of NTA JEE Main. Click on the link to download the answer key directly. The candidates may raise objections right through the link available on the Agency’s website. They have to pay a certain amount, which is non-refundable. The amount (₹ 1,000/-) should be paid online. If the challenge is accepted, the fee will be refunded to the original mode of payment. So, the challengers are requested to use their own credit or debit card. While the Agency is gearing up to display the answer keys and images of response sheets, there are some notable private coaching centres, including Resonance, Toppr.com, Brilliant Pala and Allen Kota have already shared the unofficial answer keys of the Joint Entrance Exam 2019 on their websites. The result will be released on the basis of candidate’s performance in both the sessions.